Luis Gono shone once more in local motorsports at two very different disciplines. The 19-year old clinched the first-ever GITI-Formula V1 Challenge with the Motul-Cleanfuel Racing Team. His win over seasoned veterans such as Team PartsPro’s Tyson Sy meant Gono earned a race seat at the Formula Vita Championship which will be held at the Fuji International Speedway in Japan. Aside from winning the championship in Formula V1, Gono so competed in the by-invitation-only FIA Intercontinental Drifting Cup (IDC) held in Tokyo, Japan. Drawing the best drift racers from around the world, Gono competed with 30 other drivers from 17 different countries. 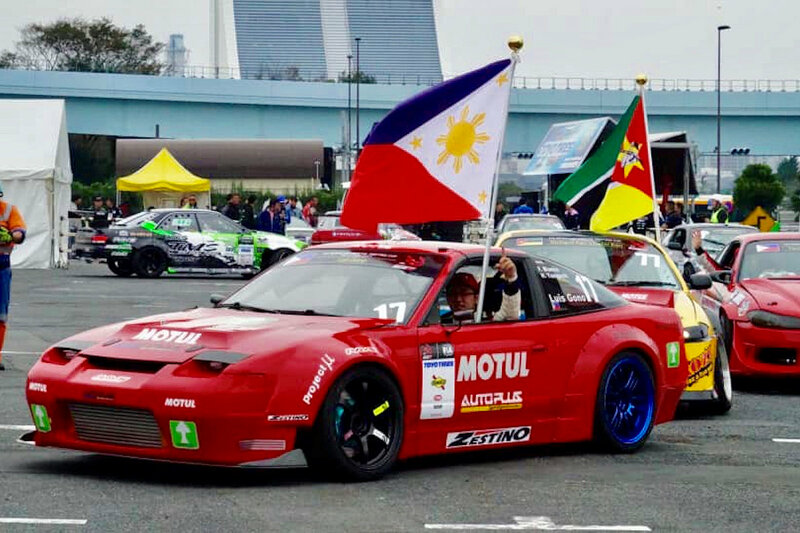 Gono is the first and lone Filipino driver invited to represent the country. Here, Gono competed with a 500-horsepower Motul Nissan 240SX tuned by Autoplus tuner Francisco “Pacho” Blancho. Gono managed to finish in the Top 6, a great addition to his strong performances at the Toyota Vios Cup, where he was the first-ever champion in 2014; a championship at the 2016 Judgement Day drift series; and a strong fourth overall at the King of Nations Philippine leg early this year.